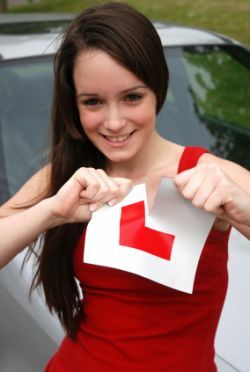 Many learner drivers are in the process of finishing A-levels or at university, and so the process of exams and tests is very familiar to you. For those that tests and exams are a distant memory, a mock simply means a practice test, not the real one, but one that provides useful preparation for the real thing. Think of a mock driving theory test as a practice run that can help you improve your process in the real test. And unlike school tests, the advantage of good mock driving theory tests is that you can encounter the actual questions that will appear in the multiple choice element of the official test. Here at driving theory test questions, this is the case. We have a massive 15 mock driving theory tests, featuring the official questions that appear in the actual test. Each of the mock tests has 50 questions, so you can encounter 750 of the theory test questions just by doing our mock tests, this is over 75% of the entire range of questions that make up the test. In addition to doing mock driving theory tests, you can also study each of the questions on an individual basis. And, once you have taken a mock test on our site, you can then view detailed feedback of that test at any time. You can see exactly which questions you got wrong and then go and study those questions directly and learn the answers. So let's imagine that you take the 15 mock driving theory tests, then review all the questions that you got wrong and learn and understand what the correct answers are: in that case you then know the answers in over 3/4's of the questions that compose the multiple choice element of the test. So sign up now to access a huge number of mock driving theory tests right here on our site.